hamburg’s achim maerz arrives on dba with an expansive twelve track package. split across a 12” ep and a cassette, “experiments” is a collection of live, improvised house jams recorded in the summer of 2015 in the artist’s home studio. the title refers to the fast and rough recording of the material, with the aim of catching a mood before process and self-awareness take over. fans of maerz’ previous releases on the essential wake up! 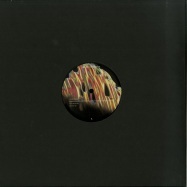 label amongst others will immediately recognise his trademark, ethereal house sound. 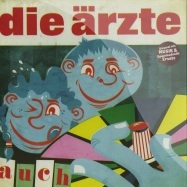 4 years can feel like a really long time – -long time no see- was achim maerz frst wake up! ep back in 2013, -it s been a while- is his frst track on metal and machines and it s good to see that some things don t change. 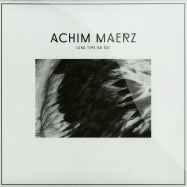 it s a true achim maerz track – focused on longing melodies, warmly distorted harmonies based on deep house foundations. -listening to machines- features a kickdrum like a steam hammer in factory hall. for the right mind, even a factory can be an inspiring place. benjamin brunn s -iron copper gold- follows his manner of creating timeless and eternal soundscapes. it is less playful and takes the tension to higher grounds. just like metal, it s cold being touched and it doesn t take long until it reaches body temperature. 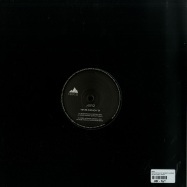 the fourth track express mode- was released on benjamin brunns drop lp in 2015. achim maerz remix sounds like a screwed-down uptempo house track – slow and heavy, but benjamin brunn s quirkiness is undeniably there. 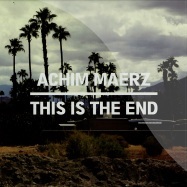 the solar phenomena label welcomes achim maerz for its fifth ep. 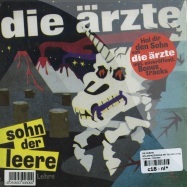 the hamburg producer is an associate of labels like don’t be afraid, where last year he released his mini-album of rough and ready house tracks that are improvised and innovative. the four cuts he serves up here are just as special and have an ethereal air to them. in my house opens things up with serene synth work and lush detroit stylings. it’s a deep and widescreen track that encourages you to dream. fresh air is a little more upright, with rattling hits and pixelated, long tailed synths lingering above the rooted drums. as the title suggests, leaving this planet is a cosmic exploration, with ambient keys and meditative atmospheres joined by only the most subtle and suggestive sense of rhythm way down below. last of all is two times, a beautiful deep house track with deft synths drifting, bleeding and wandering off into a starry night sky. all in all, then, these are truly thoughtful house tracks. hamburgs achim maerz arrives on dba . the title refers to the fast and rough recording of the material, with the aim of catching a mood before process and self-awareness take over. fans of maerz previous releases on the essential wake up! 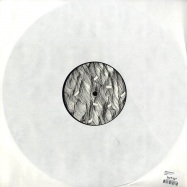 label amongst others will immediately recognise his trademark, ethereal house sound. achim maerz takes electronic abstraction back to a state of organic harmony and rythm. his ep >long time no see< reveals a soundscape of intimacy and evolving grooves. 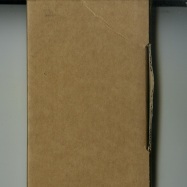 reduction broadens its horizon. all sounds are carefully placed and a sustaining atmosphere keeps developing from song to song. still each one is an individual scenery of its own. >keys of my soul< delicatly moves through wide rooms while >shake, shake, shake< leads closer to the core of groove. the backbeat driven >system< already possesses a pushing groove which mutualy connects it to >long time no see< with its warm pulsating baseline. achim maerz approach to house shows how much is possible if self-limitation leads to creativity. 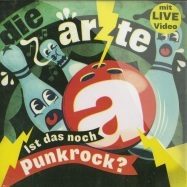 hymne wider willen vs. ist das noch punkrock? 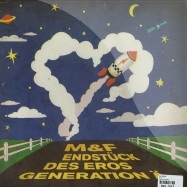 die selbsternannten hüter des gefühlsrock vs. die alles zerstörende rockmaschine. 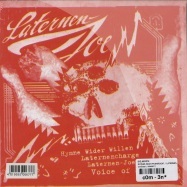 die sensation ist perfekt: laternen-joe und die Ärzte messen ihre Überkräfte auf einer split-single! 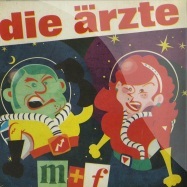 die Ärzte wie eh und je, inclusive download code! 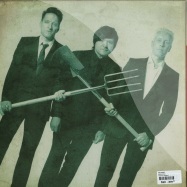 das neue album der Ärzte als doppel-lp, gepresst auf schwerem 180 gramm vinyl. 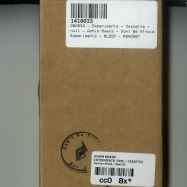 inklusive cd-version, verpackt in stabiler karton-box. 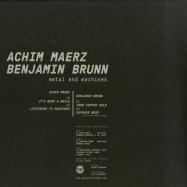 achim maerz makes his debut on fine art with a 5 track ep release. tracks that are upbeat & summerish with a classic groove! 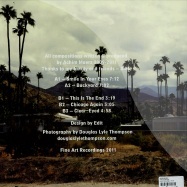 early chicago influences are obvious, but achim added a nice contemporary touch. 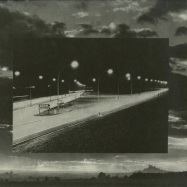 kind of larry heard meets basic channel meets second wave detroit techno. comes with beautiful artwork! 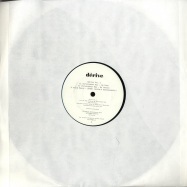 almost one year after the first release derive schallplatten releases the second record. thats quite a long time. but however, haste makes waste and even more when its about some passionate drifters! 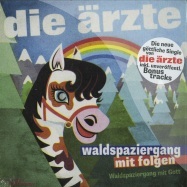 die beste b?nd der welt mit ihrem lied vom scheitern!! auf der r?ckseite gibts 2 economy versionen!! 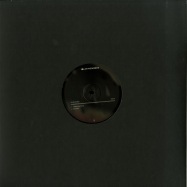 4 tracker hand stamped techno release ... incl a mind breaking andre kronert remix, he is the head of odd even records. 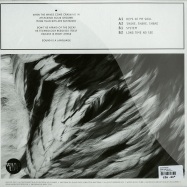 schmutz already released on omnidisc, drit drew records, fine white records.